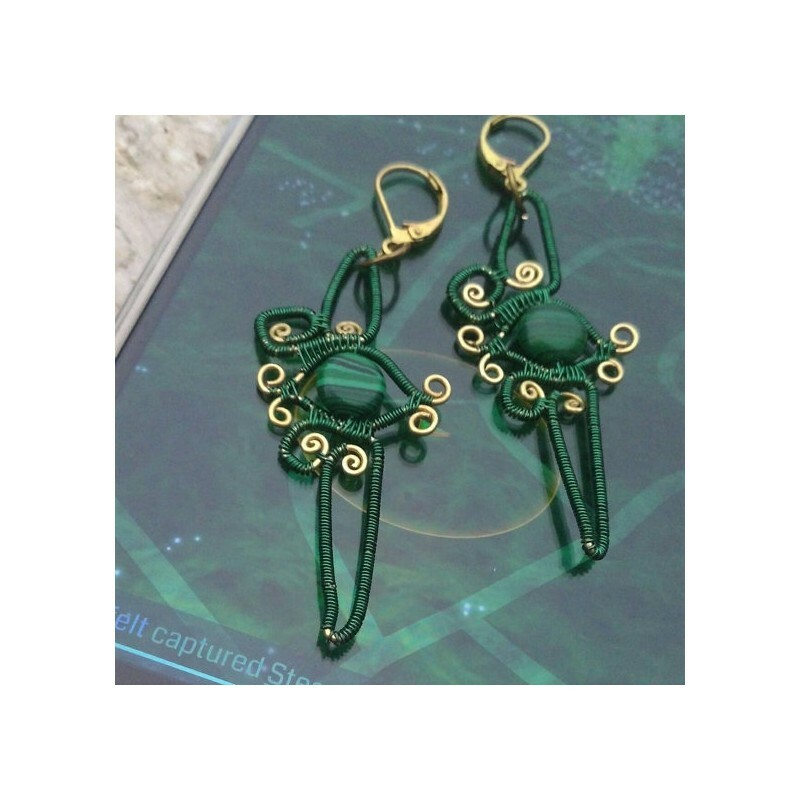 These earrings are perfect for any Ingress enlightened player or fan. 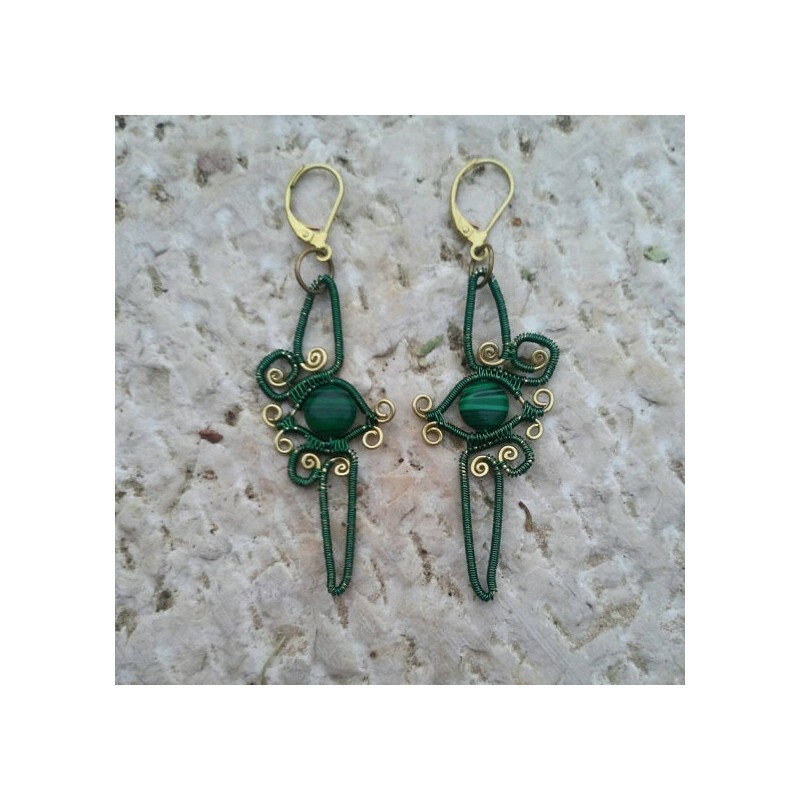 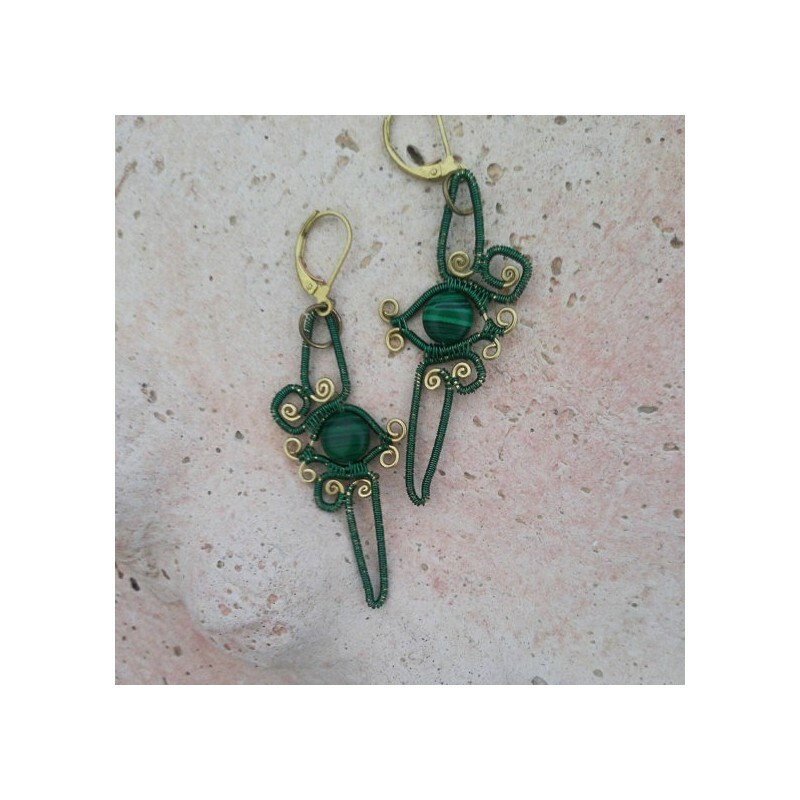 it's made from brass and copper colored wire with malachite beads. 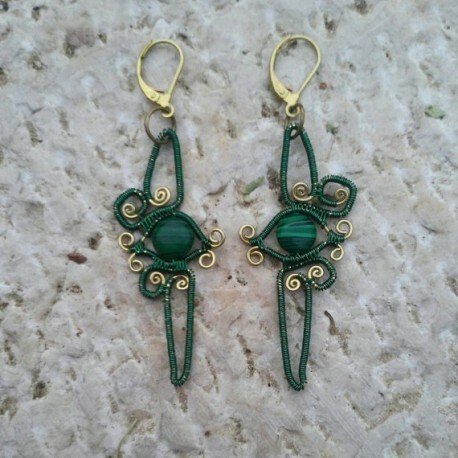 As Ingress players ourselves we decided to make a wire wrap version for the Ingress enlightened symbol. 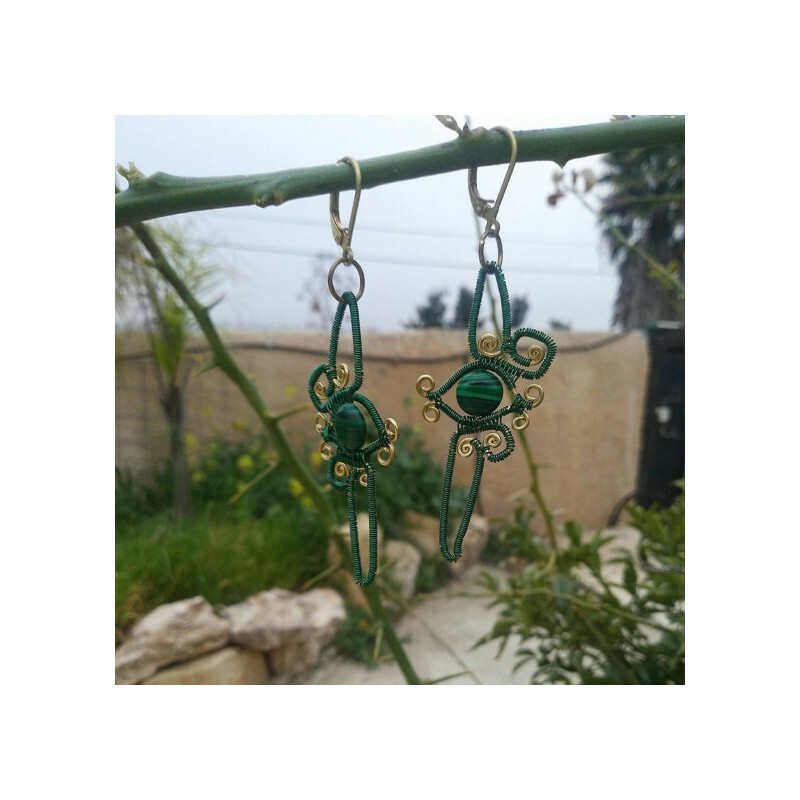 Wear it with pride to represent your faction.